I am Jack Byno, a Seagoville traffic ticket attorney. I have been representing clients with speeding tickets, lifting traffic warrants, and fighting CDL violations in the Seagoville Municipal Court and all of Dallas County since 1994. My practice is devoted solely to the defense of traffic tickets and protecting driving records. If you need help with your traffic citation contact an attorney that has the knowledge to help you. Seagoville, Texas court clerks are prohibited by law from giving you legal advice. They are there to process payments, set court dates, and answer general procedural questions. For example, a court clerk can tell you your case number, how much a fine is and the name of the officer who wrote the ticket. They are not allowed, by law, to give you legal advice or help you with strategy. However, the traffic ticket attorneys of Jack Byno & Associates are here to give legal advice for your Seagoville speeding ticket. Contact me today to discuss your case. In most cases, if you were written a speeding ticket in the City of Seagoville, Texas, the attorneys of Jack Byno & Associates can keep the citation off of your driving record by requesting deferred disposition, formally known as, "deferred adjudication." Of course, there are no guarantees to the outcome of any case, but if you meet the required conditions of the deferred disposition then it is typically not a problem to get the probation and keep the ticket off of your driving record. Some of the benefits of hiring Jack Byno to represent you with your Seagoville speeding ticket is, I can appear in court on your behalf, work out the best deal I can, and then communicate the outcome to you. I will tell you what the disposition of the speeding violation is, how much the court fees are, and when to pay them by. 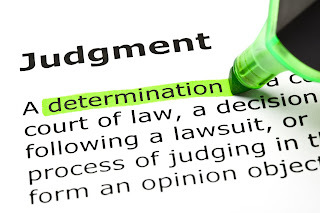 If you successfully complete the deferred disposition, the case will be dismissed at the end of the probation period and will not effect your insurance rates or driving record. Contact me, an experienced Seagoville speeding ticket attorney. Did you receive a speeding ticket or other traffic violation in Seagoville, Texas and not appear in court by the due date on the traffic citation? Thousands of Dallas County residents find out every year that they have made a big mistake when they are arrested during the statewide warrant roundup. Save yourself the embarrassment of arrest. Contact me, a Seagoville traffic warrant attorney. More about the Seagoville Warrant Roundup. Do you hold a commercial driver's license (CDL)? Having a CDL is a mixed blessing. On one hand you can make a good living and be independent. On the other hand, having a CDL comes with a lot of restrictions and being held to a much higher standard than the average driver. As a professional driver, deferred disposition and drivers safety classes (DSC) are not options. The problem is, without those tools available a truck driver has to look for other solutions to protect their driving records. The attorneys of Jack Byno & Associates can often work out a plea bargain that will minimize the damage and if need we can be retained to conduct a trial for your Seagoville traffic tickets. Contact me, a CDL defense attorney with trial experience. When you need a Seagoville traffic ticket attorney there are few attorneys in the greater Dallas County area with more experience then Jack Byno. Defending CDL holders, lifting traffic warrants, and fighting speeding tickets is my business. Contact me today for help with your traffic citation in Seagoville, Sunnyvale, Wilmer, Hutchins, or any where else in Dallas County, Texas.